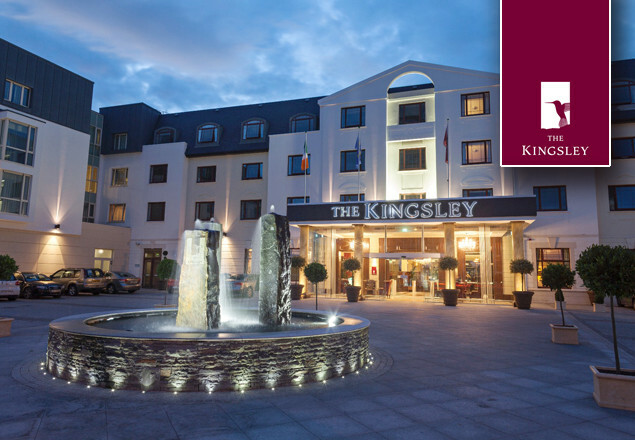 For this week's exclusive offer from Rewarding Times we are offering you a two night stay in a Deluxe room at the Kingsley Hotel in Cork City with a 3 course Table Dhote dinner for two in The Springboard restaurant with a complimentary glass of processo, VIP passes plus a €20 spa voucher each all for only €299. The Kingsley is a luxurious 4 star Hotel set along the banks of the River Lee in the heart of Cork. The Kingsley has a selection of well-appointed rooms on offer with amenities for your comfort such as a widescreen television, tea and coffee making facilities and room service. One can also indulge in an Afternoon Tea or a gourmet dinner in the perfect relaxation this atmosphere can offer you. Free Parking, Free Wi-Fi, Free Cancellation. Offer is valid 7 days a week from 1st Feb to 26th May 2016.